Manicure? Fiori, tattoos o monogramma! Flower Manicure fantastica per l'estate o appena il bel tempo ritorna nelle nostre vite. In assoluta tendenza con il RTW. 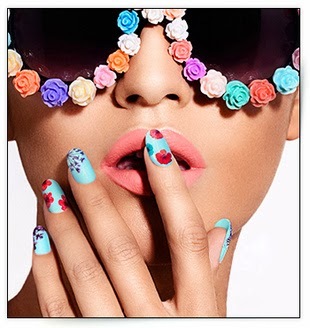 Fantastic Flower Manicure for the summer or as soon as the nice weather comes back into our lives. An absolute trend with RTW. Dalla Ciaté, marca inglese, un kit per fare delle vostre unghie un giardino fiorito. Dopo lo smalto con la pinzetta applicate il fiore essiccato sull'unghia e fissate con il top coat. 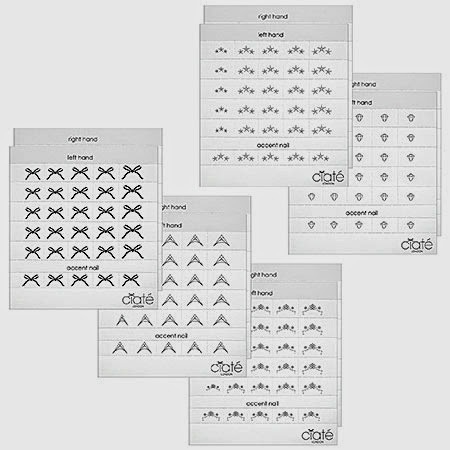 From Ciaté, an English brand, is a kit to make your nails a flower garden. 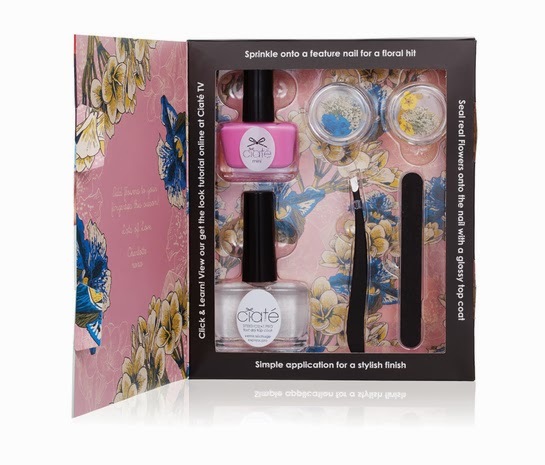 After the nail polish is applied, place the dried flower with the tweezers on the nail and affix with the top coat. Monogram manicure Nail Inc London 150 lettere e caratteri sia in bianco che nero oltre a vari smalti. Monogram manicure Nail Inc London, with 150 letters and characters in both white and black, as well as various polishes. Ammirarmi in fioritura, con tattoos o monogramma? Inutile dire che le mani devono essere al top della forma...compro subito una crema idratante e poi decido! Facile, divertente, super trendy, super fancy! Admire myself in bloom, with tattoos or monogram? Needless to say, the hands should be in top form... then immediately buy a moisturizer and decide! Easy, fun, super trendy, super fancy!